Melissa Seymour: Hi Ellen! Tell us a little bit about yourself and what you do. Ellen Oh: I used to be a lawyer and a college instructor, but I took a long sabbatical from teaching to write my YA fantasy trilogy, The Prophecy Series. Prophecy, Book 1, came out in January of 2013 with Warrior, Book 2, out this past December. And the final book, King, will be released in December of this year. MS: Why did you decide to start the #WeNeedDiverseBooks campaign? EO: I’ve been a long time advocate for diversity in publishing ever since I started writing. Especially because of how important I think diversity is in childrens literature. I’ve written many posts about the importance of diversity, have gotten lots of ugly hate mail and nasty trollish comments, but I never let it stop me. The small group of diverse YA authors all like to talk about this problem, but it always felt like no one was listening. I wanted to do something really big to catch the attention of the public and the media. And then the whole all white male BookCon panel hit the news and the internet was awash in indignation. So I pulled together this fantastic group of authors, publishers, and bloggers and told them this idea I had for a photo heavy hashtag campaign. They were all onboard and it was through brainstorming that we came up with the #WeNeedDiverseBooks hashtag and planned our date and our campaign, which was supposed to be May 19th. But then BookCon released their guest list – and it was 30 white authors and a cat. I remember the shock and then the anger, and I went back to my team and said, we can’t wait. There was a lot of frantic rushing around and we announced our campaign the weekend before May 1st, the campaign start date. People were so behind the idea that they started using the hashtag two days before the event! And as the submissions rolled in, filled with poignant stories and cute pictures, the hashtag campaign just took off from there. MS: What’s your goal with this campaign? Why are diverse characters and books important? EO: I have 3 daughters and trying to find a book that they could relate to was not easy. I remember when I was growing up, how sad I was not to have any of my own heroes to look up to. It bothered me that not much had changed since I was little. But however I felt before doesn’t even compare to my feelings now that we’ve seen all the desperate wishes of so many underrepresented people. Particularly the LGBTQIA group. It hurt me to read how desperately they wanted and needed to see themselves in books at the age where they needed them the most – those young teen years. So now more than ever, I have come to realize that books can save lives. Especially diverse books. 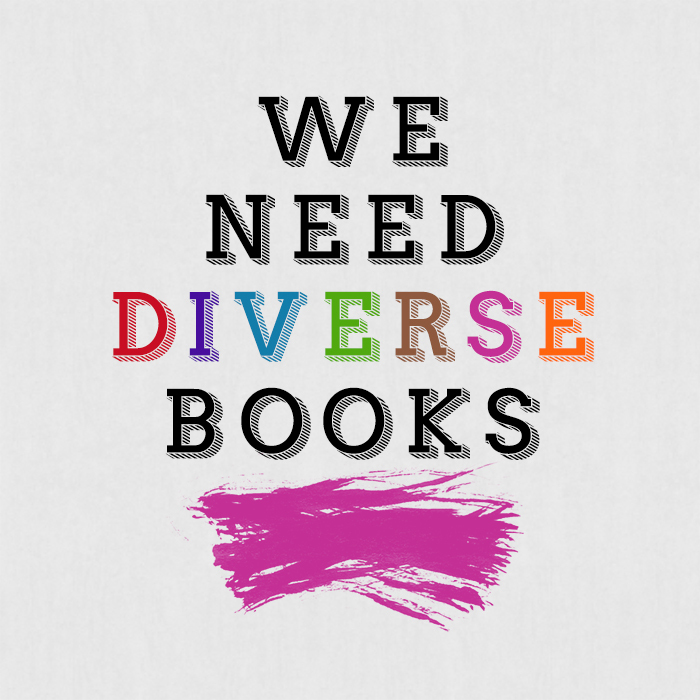 MS: Have you had a good response with #WeNeedDiverseBooks? EO: Oh my gosh! When I said I wanted to have a big impact, I never dreamed it would be as big as it actually got! I’m still in a daze at the response! And the submissions keep coming because people need to be heard! MS: In what ways can people support this movement? EO: Publishing is a business. We have got to support the diverse books and authors out there now in order for more to keep getting published. So go out there and buy diverse books or ask your local library to order diverse books! The librarians have been simply amazing in championing our cause. I adore librarians! MS: What’s up and coming for #WeNeedDiverseBooks? EO: We have 2 big announcements that we will be making at our BookCon Panel so you will have to wait until May 31st! But we are really excited about them! EO: I’m a huge Oprah fan. She’s kind of my idol. Not because I want to be a talk show host, but because she’s such a savvy business person. And she did it despite being a minority and a woman.